John Cockrum finds the name of his former student on the wall of the Vietnam Veterans Memorial. 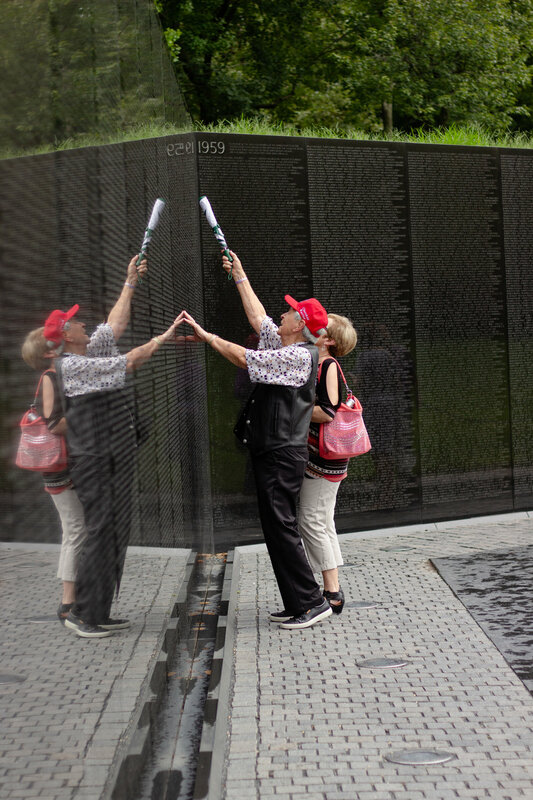 WASHINGTON, DC—Placing a hand against the smooth, black granite for balance, 92-year-old John Cockrum stood on his toes and reached with his folded umbrella to point at a name high on the wall of the Vietnam Veterans Memorial. “Well I just remember him when he was 17 years old and a student at Sapulpa High School,” Cockrum said. The name belonged to a boy who attended the high school when Cockrum, a veteran of the Second World War, was its principal. Cockrum and eight fellow Cherokee veterans from Oklahoma headed home on Wednesday after a three-day visit to Washington DC. Each year, Cherokee Nation sends veterans to the nation’s capital on the Cherokee Warrior Flight so they can see the memorials constructed in their honor. Members of this year’s group served in World War II, the Korean War and the Vietnam War. During this week’s trip, the veterans toured the White House and the Capitol Building, visited the war memorials on the National Mall and presented a wreath at the Tomb of the Unknown Soldier. Members of Cherokee leadership pose for a photo with Korean War veteran Jimmie Routh in front of their wreath at the Tomb of the Unknown Soldier. A pair of veterans are pushed in wheelchairs past the Reflecting Pool at the Lincoln Memorial. For many of the former servicemen, like Hose Wallis, 85, of Claremore, the trip was a chance to visit Washington for the first time. “For a country boy like me to get to do something like this…you can’t explain what it’s like,” Wallis said. Howard Holloway, 87, of Claremore, said the Warrior Flight program means a lot to veterans like himself. At the Korean War Veterans Memorial, the veterans, who donned matching red “Cherokee Warrior” baseball caps, were stopped by tourists asking for photos with them. “It’s been an overflowing of respect and honor since I’ve been here,” Holloway said. The group of veterans on the 2018 Warrior Flight stop to take a group photo in front of The Three Servicemen statue at the Vietnam Veterans Memorial. S. Joe Crittenden, Deputy Principal Chief of the Cherokee Nation, said they created the Warrior Flight program in 2013, modelling it after the Honor Flight program, to recognize the many Native people that serve the country in the armed forces. “We’re honored to do this, and we’re blessed that we can bring some up here and show them that we appreciate them so much,” Crittenden said. “The healing process that all veterans have to go through, it starts maybe as soon as they get their DD 214, but some of them heal for years,” he said referring to the discharge papers veterans receive when they have completed their service. Gaylord News is a Washington reporting project of the Gaylord College of Journalism and Mass Communication at the University of Oklahoma. Vietnam War Air Force veteran Russell Feeling stands outside John F. Kennedy's burial site at Arlington National Cemetery. The veterans of the 2018 Cherokee Warrior Flight ride a tour bus at Arlington National Cemetery. WARNING: The following images include some graphic content. Viewer discretion advised. A wall in Sherman Johnson's taxidermy workshop. Sherman’s garage workshop smells like blood, stale flesh and chemicals. Dozens of glass eyes watch me walk in. He’s talking to a middle-aged couple who came to drop off a twelve point rack and put a $300 cash down payment on the mount. He pauses his conversation with them to greet me with his friendly Oklahoma drawl. He says it like he’s known me forever, like I’d stopped in a thousand times before, though we’ve only ever spoken on the phone. Just a few inches taller than my 5’6” and dressed in a green plaid flannel and brown work pants, Sherman Johnson makes up the entire staff of Johnson’s Taxidermy. He’s standing with his feet planted somewhere between the B and the X on the foam alphabet tiles that cover a section of the floor in his shop. After a few minutes, the couple leaves with a handwritten receipt and a promise to be in touch soon. They pass a pair of deer skulls boiling in pots next to the garage as they walk out. Without much fanfare, Sherman launches into his story. He graduated high school in 1985. 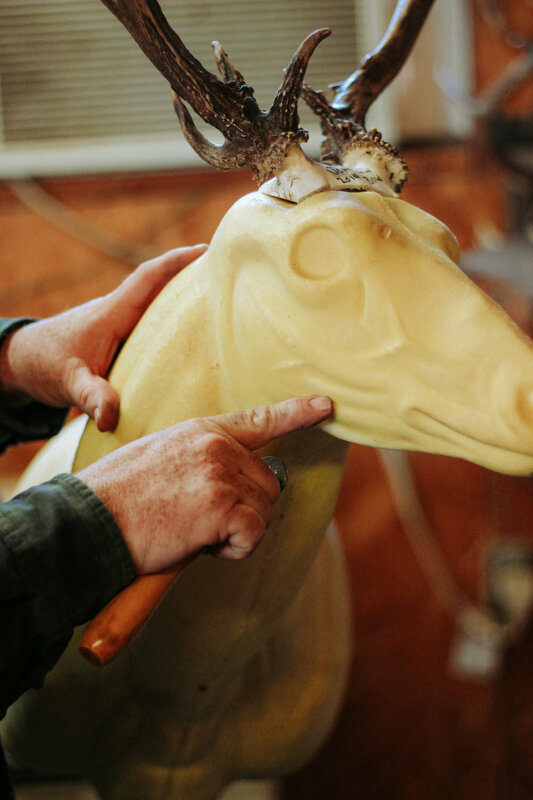 That same year, he began working seasonally for the State of Oklahoma and enrolled in classes at Hirzel’s Taxidermy in Guthrie. 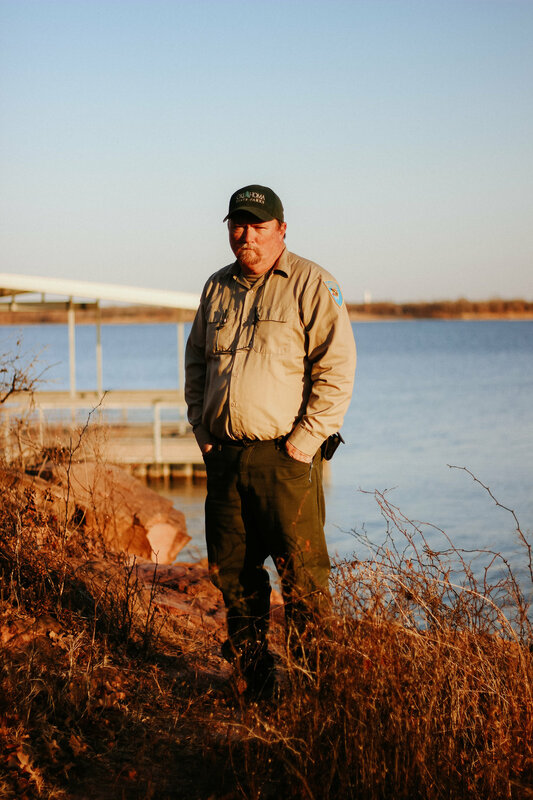 Thirty-two years later, he works as an assistant park manager at Lake Thunderbird State Park. He reports to work each morning at 8:30 and leaves at 4:30. “Pretty straight hours unless something comes up,” he tells me. Around 5:00, he returns to his home a few miles from the park, where he lives with his wife and two teenage sons. He changes out of his uniform and into work clothes, heading out to the garage, where he’ll spend a couple hours chipping away at a growing list of commissioned taxidermy pieces. Sherman checks the skulls that are boiling outside his workshop. The process removes remaining flesh, preparing the skulls for a European mount. A pair of skulls boiling outside the workshop. As we’re talking, Sherman puts on a pair of blue rubber gloves and starts to work. He’s caping a coyote, removing the hide from the head and chest for a shoulder mount. I wander around the shop, looking at his finished pieces and his vast collection of tools and trinkets. Scissors. A box of pins. A turtle shell. A bundle of old arrows. An empty coffee can. Fabric rulers. A container of motor oil and some old snakeskin tacked to a post. Sherman tells me about things in the shop as I go. He shot everything that hangs on the wall with the window. 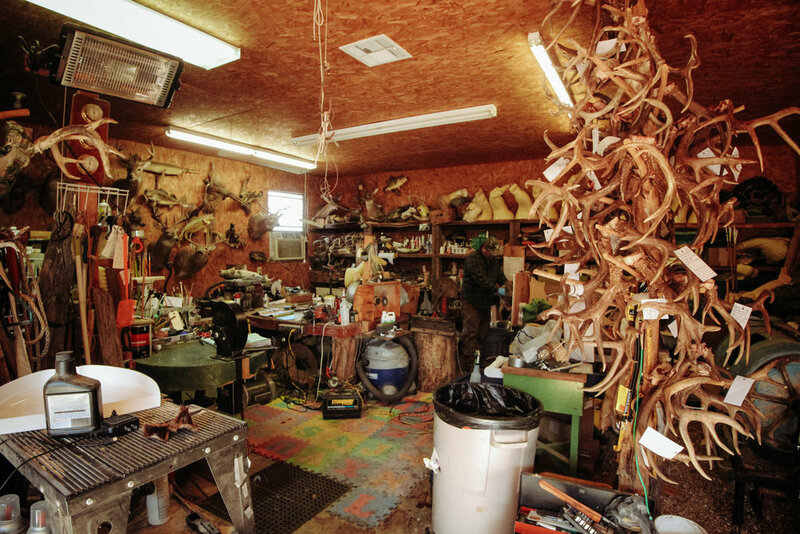 The antlers above the door belonged to a bull elk that his uncle killed in the 1960’s. A massive tangle of antlers hangs from the wooden post in the center of the garage. They’re the antlers of every deer Sherman has to mount for a client in the coming winter, like a totem pole to-do list. “You came a little early in the season. In a couple of months, I’ll have that wall full,” he says, pointing to the wall next to the garage door, currently home to two finished mounts, a dartboard and a crooked horseshoe. A dart board hangs on a wall in Sherman's shop. Sherman narrates as he works. Eventually, I stop my wandering to watch what he’s doing. His hands move like a sculptor’s, expertly trimming away the unnecessary with a sureness that only comes after years of practice. I snap photos as he goes. The red interruption in the animal’s fur quickly grows wider. Sherman peels the skin away from the animal’s mouth to show me its teeth. The upper canines are worn down to almost nothing, and the lower ones were completely gone. The process doesn’t bother me. I thought it might, but it doesn’t really. Maybe because I grew up around hunters. When I was little, I used to lay on my uncle’s bear rug and play with its ears. If we had beef in the freezer it was from the cows that grazed around the lakes one summer earlier. And if we had venison, it was because my grandpa sat in a blind in the snow, waiting for hours before he felled it. It wasn’t unusual to catch a bucket of fish for dinner in the summer. My brothers and I would watch my dad and uncle clean them, fascinated. We’d carry the fresh pink filets into the house for my mom and aunt to fry. When we sat down to eat, we knew to watch for any of the tiny, fragile bones left behind in the meat. The reality of the animal’s death was not a foreign one–and not unwelcome either. The animal lived well. It didn’t grow up in confinement. It wasn’t killed in a slaughterhouse. It’s meat was being used well. But, perhaps most importantly, its death was not fictional or hypothetical. It was close and real, and it was appreciated. Sherman begins to cape a coyote that had been killed a year prior. Sherman holds the skin he removed from the coyote. He took the hide only from the head and chest for a shoulder mount. Sherman demonstrates the technique he uses to prepare styrofoam molds for the hide to be attached. He uses various tools to shave away styrofoam to add or remove shape, depending on the style of the mount. Sherman keeps cutting and I keep photographing. But for a moment, between digital exposures and strokes of the blade. I feel a twinge of something I didn’t expect. It’s not quite sadness or guilt. Just something. Something simultaneously in awe of both the overwhelming complexity and the surprising simplicity of living beings. Something that is struck by the strength of an animal capable of surviving in the wild until its teeth are worn down to the gum, and that is shocked by how easily a razor blade separates its skin from its muscle. Sherman trims excess flesh from a skull that has been boiling. A pile of skulls dries in Sherman's shop, waiting to be mounted. Sherman holds a set of longhorn horns for an upcoming mount. "Tell them it's Bevo," he said. Sherman's taxidermy workshop. The column of antlers on the right is his collection of client projects for the winter. Before I leave, we walk around to the backyard. Sherman opens the gate, pointing out the piece of antique barbed wire tied to the fence post. He found it in the Oklahoma panhandle, he tells me. One of his dogs runs up, sniffing around my boots, tail wagging. “Settle down now, Daisy,” Sherman tells the dog gently. Another dog watches me from under a blanket on the porch, too shy to approach. Sherman crosses the yard to where his two mules stand at the fence. He tells me he bought the younger one, Miss B, at the mule sale in Ada recently. She’ll be two years old in March. He points out the white spot on her back and says a horse saddle was used on her. The white spot shows where it rubbed uncomfortably against her skin. He hands me a sweet potato to feed to Miss B. One of Sherman's dogs on the porch in front of his house. Sherman feeds his mule, Miss B, a sweet potato. The next day, Sherman is dressed in his state park uniform, an Oklahoma blue patch on either shoulder. He sits at his faux wood desk in the park office, surrounded by yellow sticky notes and pecking at his keyboard. He has a few park maps out, some marked with different projects he’s managed. I ask him if he plans to retire. He’s accumulated enough years working for the state. He could do it if he wants to. Almost thirty-one consecutive years. And even more seasonal work before that. Lake Thunderbird State Park offices. Sherman works at his desk in the Lake Thunderbird State Park offices. A "park deer," as Sherman likes to call them. We drive out to the park’s newest day access area, near the Marina that was rebuilt after a tornado tore through it in 2010. There are new pavilions and picnic tables a fishing dock. 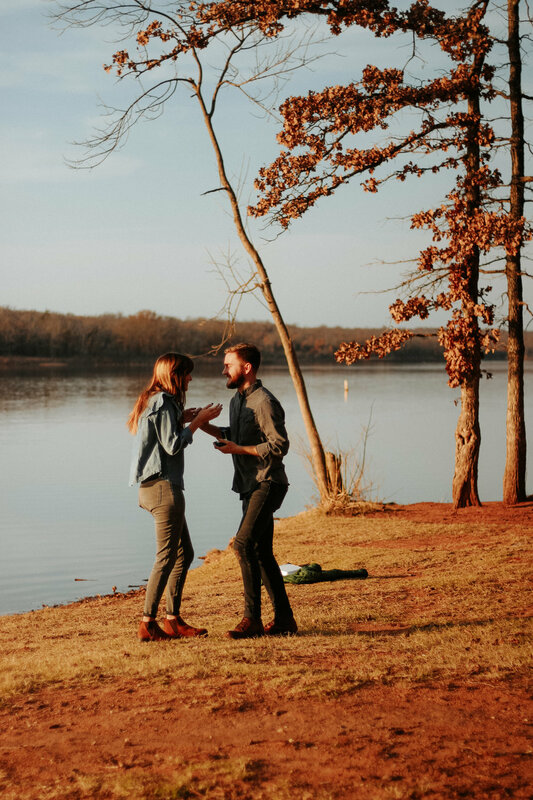 He tells me about the value of a place like Lake Thunderbird in the metro area of Oklahoma City. It has flourishing wildlife populations, plenty of space for hiking, camping, or hunting, and it’s very accessible for people in the surrounding cities. He tells me he’s a little worried for today’s young people. They’re too busy, too stressed. I try to repress the thoughts of exams to study for and deadlines to meet and papers to write. I look across the lake, the low-hanging sun is reflected on its surface. Birds flutter from the trees on the other side of the bay. There’s even a few deer grazing in the field past the marina. 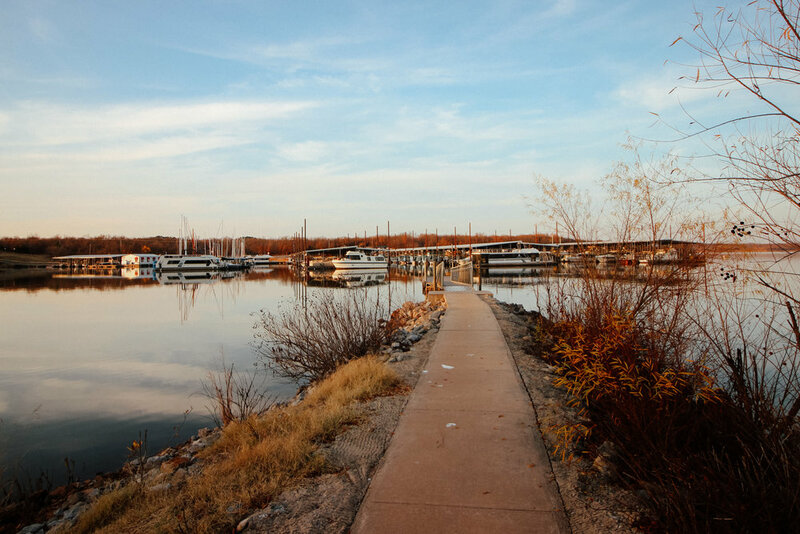 The marina at Lake Thunderbird State Park. Hands down my coldest photoshoot to date! But I'm so grateful that this lovely lady braved the 13° weather with me. 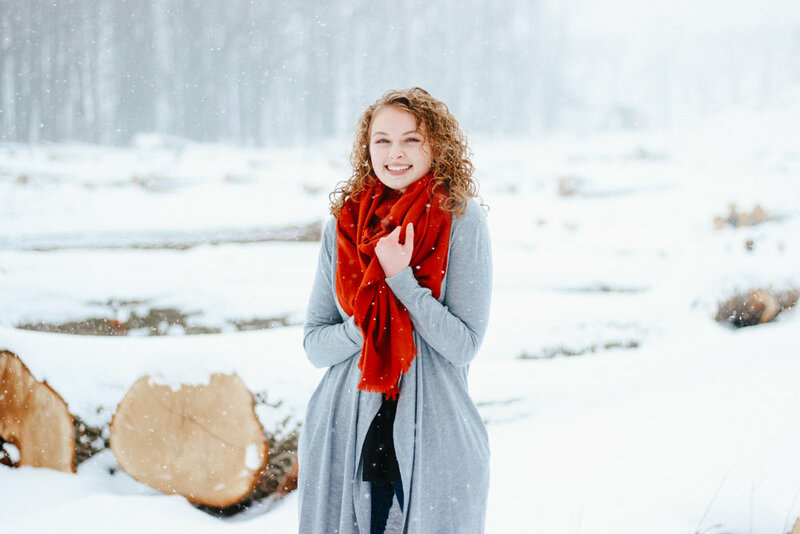 Her joyful spirit shines right through in these pretty winter shots. I'm determined be a little better about sharing my work in 2018. I feel so fortunate to be given a glimpse into the lives of such beautiful people. It's such a privilege to to spend time getting to know someone's unique story and capturing for at least a little while. I'm always amazed by the people I meet and the world we live in together, and I want to share more of that with you all. So stay tuned! Here's to another wild year. Trevor and Kadee are one of the sweetest couples I’ve ever known. They are patient and kind, never boastful and ever-hopeful. They’re selfless and they rejoice in the truth. 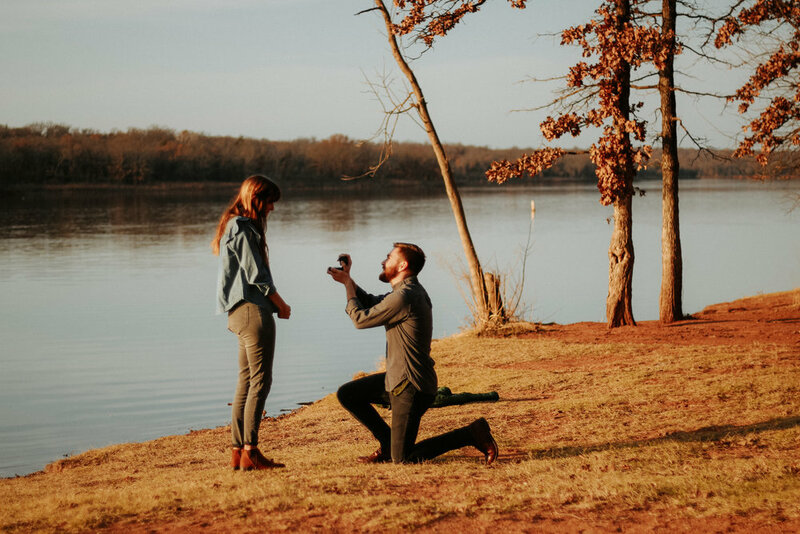 It was such a joy to capture this moment for them. Had to share a couple of my favorites. Can’t wait to see what the future holds for the Pettways. I haven’t done a lot of sketching lately, but I was really inspired after photographing the Day of the Dead Festival on Sunday, (A few of my favorite shots are below.) so I stayed up too late last night, lit a sandalwood-scented candle, listened to my favorite cooking podcast and drew this up. It was a wild night. Thick skin, rough edges, and a whole lot of grit. That’s what it takes to live in the desert. The cactuses know it and so do the lizards that retreat in the shade beneath their limbs. The scorpions know it too, and so do the rattlesnakes and the hardened cowboy-types rolling in and out of wind-worn town that pepper the unforgiving landscape of the American Southwest. Among the desert-dwellers, there is a deep respect for the land. There has to be. The hellish heat of the day is interrupted only by the dramatic chill of the night. Only the chatter of cicadas and some wiry, durable birds pierce the brittle air, breaking the otherwise vast and oppressive silence. Rainfall is scarce and nearly everything that has roots also has spines. A life in the desert void of precautions—or distinct evolutionary advantages—is probably a short one. It’s difficult living for everyone, but the same dust covers everyone’s boots. And if you’ve got the backbone to stay, you’ve earned your place. The word “solidarity” isn’t exactly descriptive of the relationship between people who occupy the sun-saturated Southwest, but there is a certain sort of respect, not unrelated to the respect that is attached to the land itself. Because whether you work as a make-believe sheriff in Tombstone, Arizona, a chili farmer in Hatch or a Border Patrol agent outside El Paso, you’re still there. You get up every day and leave the shade of your doorway knowing there’s no abundance of foliage out there to shelter you from the relentless rays of the sun. Sappy steel guitar melodies drifted out the wooden doors of the Starlight Theatre in Terlingua, Texas. A group of leathery Woodstock desperados loitered near the entrance, laughing loudly and lazily nursing bottles of Lone Star. An abundance of bolo ties, tie-dyed shirts and elaborately-braided white facial hair. One short, squinty-eyed man recognized an old friend from below the wide brim of his hat. “I thought that was your van out there!” he hollered at a lanky fellow with a bandana headband and a mess of necklaces hanging over an old cutoff concert t-shirt. “I was in need of an attitude adjustment,” Necklaces offered by way of explaining his presence in town. A strange admission, perhaps, for someone so late in life. Attitude adjustments tend to be associated with rambunctious toddlers and rebellious adolescents, spoken of by parents and not by the child in question. “This is a bit of a reset for me,” Necklaces went on, “Yeah, just hitting the reset button. I’m working at the music festival.” He showed off his wristband. Squinty Eyes promised he’d try. Miles away in Marfa, an attractive, 30-something brunette arrived home and unlocked her front door, dully illuminated by the soft golden porch light. It was quiet inside. She flipped on a light, kicked off her brown leather heels and locked the door behind her. Words tumbled around in her brain, orders from the restaurant, then lines from her tour guide spiel. Judd chose the color often for its lack of narrative association. He said he didn’t learn much from the process of fabrication and felt others were better at it than he was. Lots of Marfa locals work more than one job to cover the high cost of living. People come here for a change of pace, to get away from their lives elsewhere. Everyone here has an interesting past. The jokes she was used to making. This is the ninth place I’ve lived in twelve years. I came for vacation and never left. My mom is afraid I’ll do the same thing when I go to Mexico, because apparently, I like to run from my problems instead of facing them! Delivered with a lighthearted laugh and a biting shot of truth. The arid desert landscape ironically serves as a bit of an oasis, an oasis from the pressures of achievement or the regret of mistakes, away from the tangles of an unshakable reputation. Some of the more formidable regions of the Southwest begin to foster collections of mankind’s most interesting characters, a menagerie of poets and outlaws and scientists and millionaires and vagrants. Because neither failure nor success will chase a man that far, and the ground is too rocky for roots anyway. The landscape lacks mildness of constitution necessary to merit the use of adjectives like pretty or quaint. Awe-inspiring and intense. Captivating, fascinating, and powerful. But it’s not exactly “pretty.” Certainly not a roaringly-popular luxury retirement destination or a trendy honeymoon spot, but if you learn to listen to its rhythm, you might find that your heartbeat slows to match its pace. It’s like this: when you glance at a night sky, you see a high black ceiling cluttered with static points of light, points that appear to be motionless and inactive. You have to look a little longer to see them twinkle and flicker and move to some universe tempo. If you maintain your gaze even longer, you might see one sail across the sky. At that first glance, the desert can seem barren and void. But look a little longer, and you’ll see the wild beauty of the land. You’ll become overwhelmed by the fiery sunrises that awaken the towering rust-colored mesas of southern Utah. You’ll marvel at the unlikely presence of proud cactus blossoms, boasting water stored within. 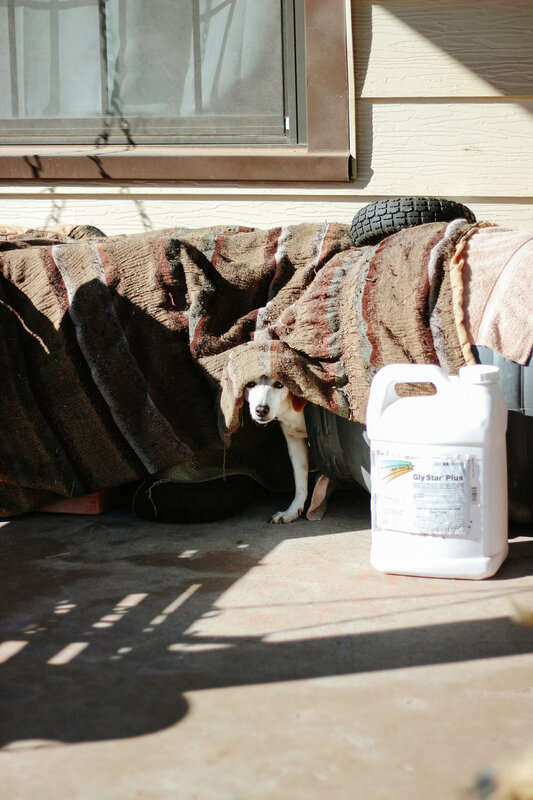 You’ll notice little paw prints in the dusty ground and wonder how anything can live in that heat without a tall thermos of water and some trail mix, at least. You’ll see 10,000 cactuses before it occurs to you that they’re all so strikingly different. There is such diversity in the wildlife. Really, you’ll be amazed. Art invariably reveals something of the artist. No one who sees the frescos that adorn the Sistine Chapel walls will deny the talent and dedication of Michelangelo. The sheer intensity of the Southwest says—screams, actually—of the power and creativity of the One who created. The hand of God left its mark in the carving of Arizona canyons and in the absolutely anomalous existence of oases in the rocky hills of Southern California. The desert whispers of His lavish mercy and staggering attention to detail. For an omnipotent deity to create a climate that just barely meets the conditions necessary to foster human life speaks of the tension that exists between His unfathomable power and immense and inexplicable love for the human race. Cathedrals are put to shame by the intricate, expansive chambers of the caverns hidden beneath rolling, cactus-covered hills in New Mexico. The supernatural, otherworldly weightlessness of the caves is unlike anything besides those carefully-erected places of worship. One cannot help but feel that the place is sacred. It’s untamed and, at times inhospitable, but the American Southwest has long captured the affection of those who gave heed to its vibrancy and magnificence. It’s place like no other. It’s hallowed ground. David Boren announced today that, effective June 30, he will be retiring from his position as president of the University of Oklahoma after almost 23 years of service. His retirement will be contingent upon the appointment of a permanent successor prior to June 30. He has decided that now is that time, and is optimistic about the future of the university in its next chapter. Students, faculty and staff fill Holmberg Hall to the brim to hear Boren's announcement. University of Oklahoma President takes his place behind the podium, smiling in acknowledgement of the standing ovation he receives from students and faculty. Boren responds to questions from members of the press immediately following his announcement. 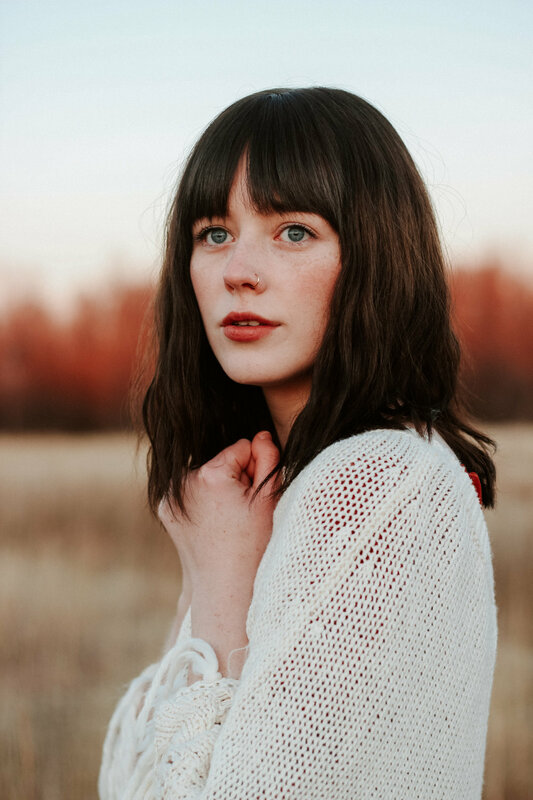 Super excited to finally share these photos of Emily! This effortless beauty was so much fun to meet, (we probably laughed more than we actually took photos!). And let me tell you, she's not just pretty on the outside. That girl's got a heart of gold. I was waiting in line for food at a deli in OKC last spring. A few feet away, I noticed a sweet striped-polo-clad little guy preparing his Guess Who? board for battle. It was a practice I knew well. I myself was once a Guess Who? champion, ready to shoot my carefully-planned facial-feature-related questions at anyone willing to play against me. I couldn't help but snap a photo of him and his laser focus. It all made me with I had more photos of the everyday sort of moments growing up, because honestly those were the most precious. I'm grateful for the pictures of birthday parties and trips to Disney World, but the memories that are most precious to me are the ones that happened in less glamorous times. Listening to my mom read American Girl books to me. Laying on a trampoline with my best friends, looking at stars. Reading the notes my dad left on the counter before he drove to work. Catching frogs with the neighborhood gang in the pond across the street. Playing cards with my Papa in the living room, and building basement blanket forts with my brothers. Don't get me wrong, trips to Disney World are awesome, but sometimes the most magical place on earth is wherever you are right now. When the boy and his mom finished their game, I walked over and introduced myself. We exchanged emails for picture sharing and I offered to take one last photo of the two of them. They happily obliged. (The last couple photos in this post. So freakin' adorable!) We chatted for a bit and went our separate ways. I ordered my food and left with a lovely reminder to cherish the moments in between the milestones. And even to photograph them from time to time. 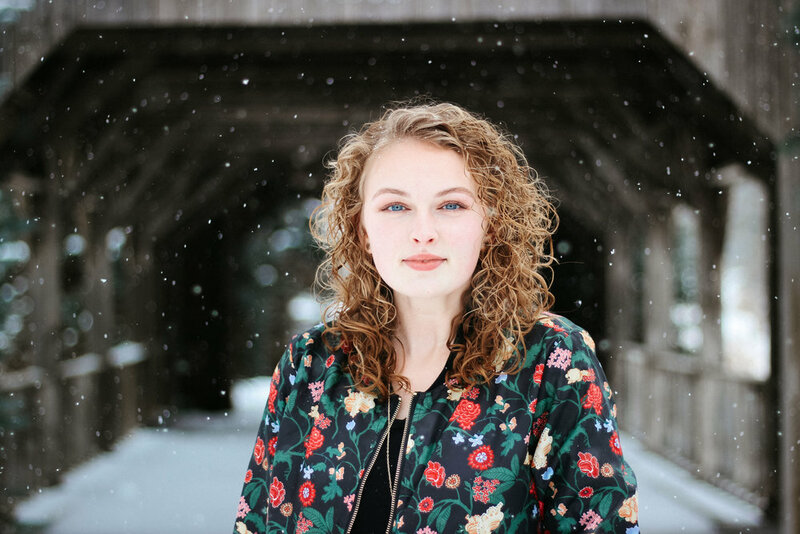 A beautiful senior and a sweet-spirited friend (with some very photogenic hair!) Thanks so much for exploring with me and smiling until your cheeks hurt. So many beautiful faces and spunky personalities for one family! It was such a pleasure to do their portraits. I was so happy to be a part of the Fialkas' special day. Their love was obvious and their joy was absolutely contagious. Here are a few of my favorite shots! Visitors to this year's Michigan Lavender Festival ventured back in time while exploring the Mitten Kittens' "Glamping Village" at Blake's Orchard. The cluster of vintage trailers, restored to their former glory and decked out in retro memorabilia, drew a crowd of admirers delighted by the wonderfully meticulous decor. The women of the Mitten Kittens pack up and head out on luxurious camping excursions in the Great Lake State. With an emphasis on a healthy, active lifestyle, they spend their retreats doing yoga, paddleboarding, fruit-picking, enjoying fires at the beach--and chatting over 4 o'clock happy hour drinks! The ladies leave husbands and kids at home and take a break from fast-pace everyday living--and they do it in style! Here's a sneak peek into a few of their gorgeous mobile homes.